When Google acquired Bump last September, the CEO and co-founder of the start-up, Dave Lieb asked users of its apps Bump and Flock "stay tuned to receive future updates." This update has finally arrived on the day of the year, and this is not good news for the users of mobile applications file sharing: Bump and Flock will disappear. More precisely, the two applications will be deleted from both the App Store and Google Play January 31, 2014, according to a statement posted on the blog of Bump. The 31 January was chosen to allow users to save all their data stored on platforms Bump Flock. At the end of the month, these applications will not work, and all user data will be deleted, according to the leader of Bump. Both applications will display instructions for exporting data. Bump and Flock are permanently discontinued because the Bump team will focus on other topics. "We're focusing on our new projects within Google," wrote Mr. Lieb. The application for sharing photos Flock allows users to combine into a single album of photos taken on several smartphones. 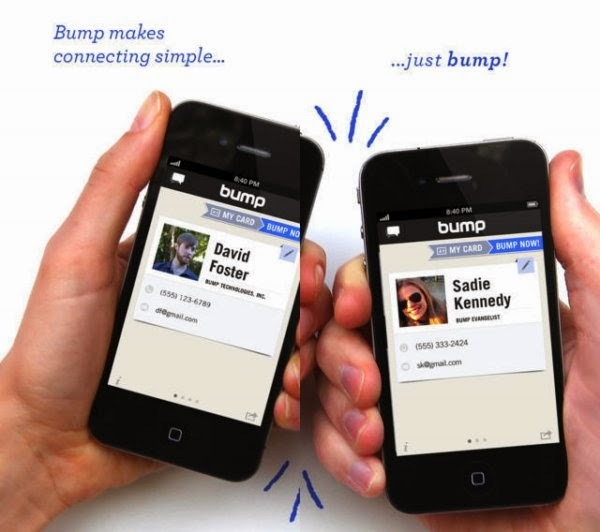 As for Bump, it allows you to share contacts, photos and files clashing mobile devices. Instead of relying on the Bluetooth, WiFi and NFC, Bump simply sends files to a server in the cloud after the shock. Then, an algorithm is used to analyze the data and transfer to another terminal. Google was interested in a simplified approach to this technology to improve its Beam service that requires an NFC connection to do the same thing. Bump applications were very popular on the App Store. "Bump is a revolutionary product that has led many subsequent progress and helped to push the world forward," wrote Mr. Lieb. "We hope that our new creations at Google will do the same."